Hello, I am an English teacher from the Czech republic. I love my job, the preparation for my lessons and the lessons themselves. Thanks to your well-elaborated work my preparation is less demanding and more funny. Thank you all, friends! 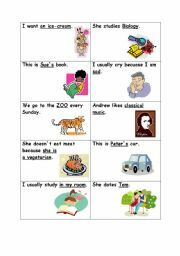 An useful way how to practise illnesses and present perfect. You can use it as a handout or cut the pieces. 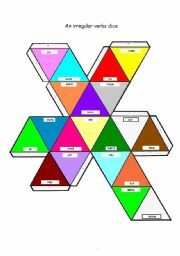 All illnesses are described in the second sheet. Enjoy! A handy dice to glue and toss for the irregular verbs practising. You can revise them just while tossing the dice or you can even make sentences with them. Second edition of useful flashcards for WH question practising. Students have to ask for the underlined information using what, who, where, when etc. Useful flashcards for WH question practising. Students have to ask for the underlined information using what, who, where, when etc. 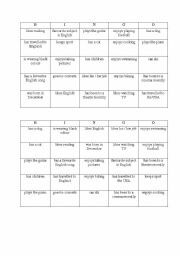 An ice breaker bingo for the first lesson with your students spent with talking and getting to know each other. 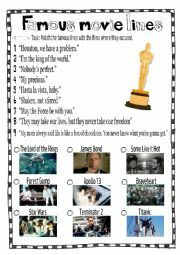 The rules how to play are writen inside this worksheet. 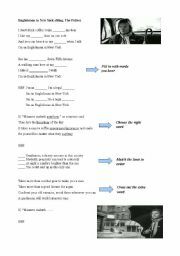 An amusing way how to practise a song in a lesson about different cultures. 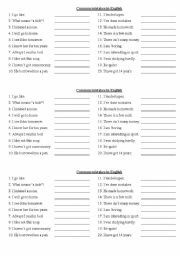 Ready to go worksheet, students will love it! 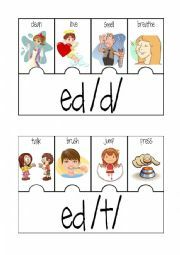 Ready to print, (laminate) and use activity cards dealing with the sounds of -ed in the past tense. Let students choose the right word. 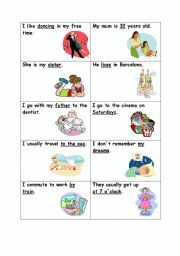 A nice exercise practising second conditional with pictures at the end. What does Britain look like? A presentation focused on United Kingdom. 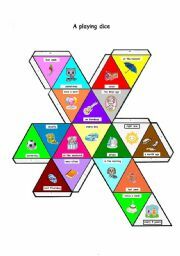 It is suitable for a smart board for an interactive classes. A quizz included.